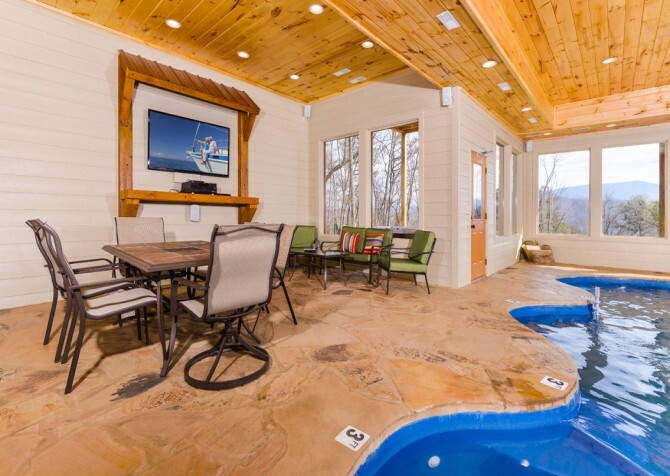 A stunning mountain view and a show-stopping indoor pool—these are just the beginning of what’s in store for you at Sierra Springs! This luxurious vacation rental features 5 bedrooms, 6 ½ bathrooms, and plenty of space for 16, making it ideal for a family vacation or anytime group rental. Whether you’re coming for the peaceful atmosphere of the Smokies or the excitement of downtown Pigeon Forge, Sierra Springs offers the best of both with its semi-private lot only minutes from downtown. 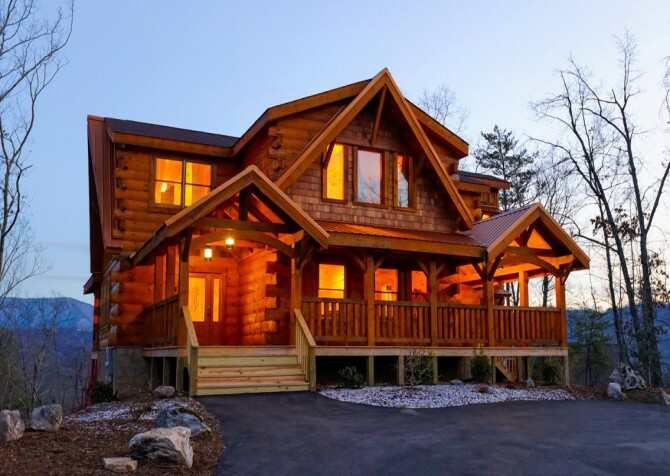 In fact, you’ll be less than 6 miles from the Parkway, making unique group attractions and popular Pigeon Forge restaurants easily accessible. Inside Sierra Springs—besides the gorgeous pool room with a waterfall feature, big screen TV, and heated saltwater pool—you’ll enjoy an updated designed, an open-concept layout, and exciting amenities like big screen TVs, game tables, and jetted tubs. Sierra Springs also offers a private theater room, a bunk room for the kids, and an outdoor hot tub with a tree-studded view of the Smokies. If you’re looking for the group rental that will wow your guests with luxurious amenities and modern style, don’t miss Sierra Springs! 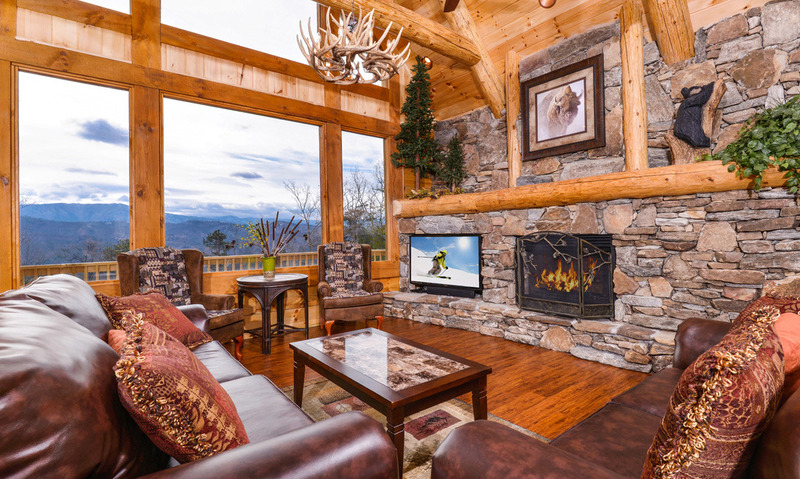 There’s so much to catch your eye inside the Sierra Springs living room: large windows with stunning mountain views, a stacked stone wall with a gas fireplace and big screen TV, and an antler chandelier overhead. 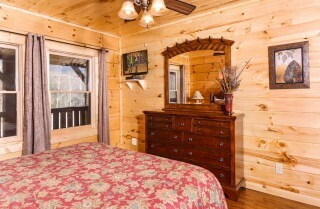 All of these provide a modern mountain feel you’ll love coming home to after your group’s big day in Pigeon Forge. 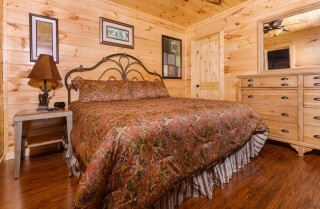 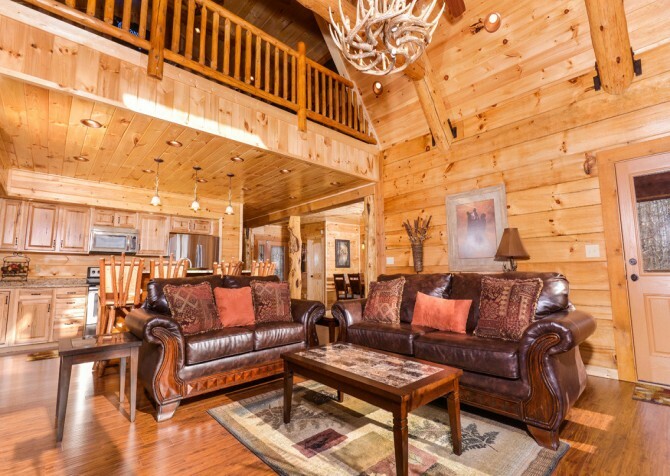 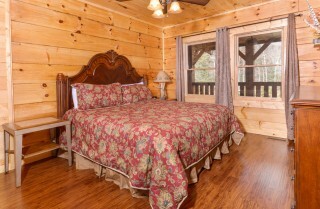 When you’re ready to relax, kick back on one of this cabin’s comfy couches or plush armchairs. 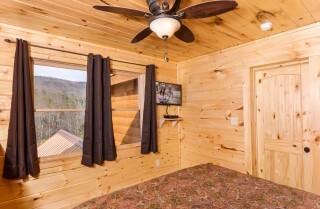 And thanks to this cabin’s high speed wireless, you can stream a favorite show on your tablet or simply turn on the big screen TV. 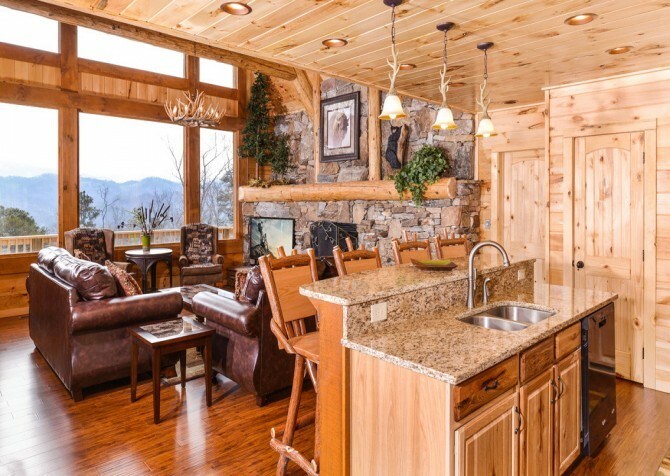 The Sierra Springs living room offers tons of natural light, plenty of space to unwind, and an inviting atmosphere where most, if not all, of your group can hang out during your Pigeon Forge stay. When it comes to choosing your group’s vacation rental in Pigeon Forge, one of your must-haves is sure to be a full-size kitchen. 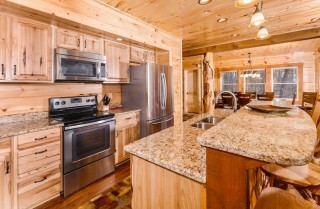 At Sierra Springs, you’ll not only enjoy a full-size kitchen, but also an updated one as well. With naturally stained cabinetry, granite countertops, and stainless steel appliances, it won’t be a chore to prepare homemade meals in this luxurious space. 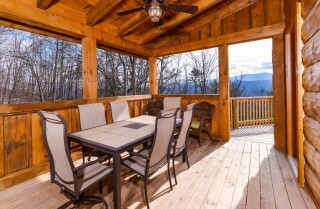 Plan to stop by the local grocery store or the nearby Gatlinburg Farmers Market for all your grocery needs. 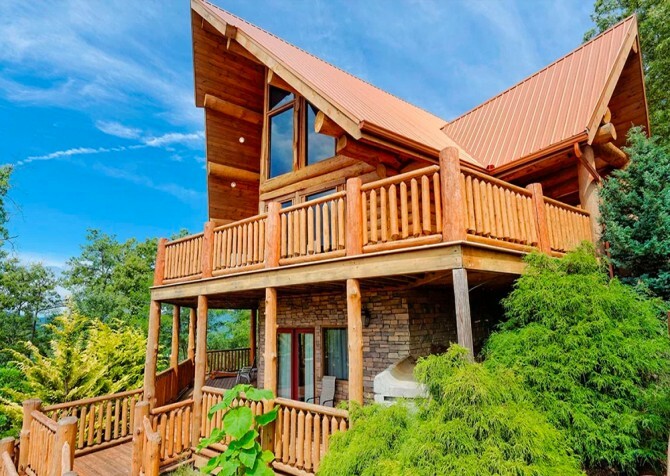 We also recommend a stop at the Mountain Valley Winery in Pigeon Forge, where you’ll find award-winning wines bottled right here in the Smokies. A glass of merlot from Mountain Valley is the perfect accompaniment to juicy steaks prepared on this cabin’s charcoal grill. On the nights you’re not visiting delicious Pigeon Forge restaurants like The Old Mill, you should plan for group meals inside this cabin’s private dining room. Sierra Springs offers an intimate setting that’s as beautiful as it is private, where you can enjoy Mama’s famous spaghetti or a stack of flapjacks fresh from the stove. 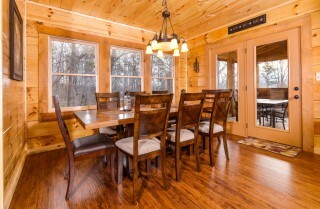 Large windows let in tons of natural light, and a wooden table for 8 will comfortably fit half of your 16-person group. 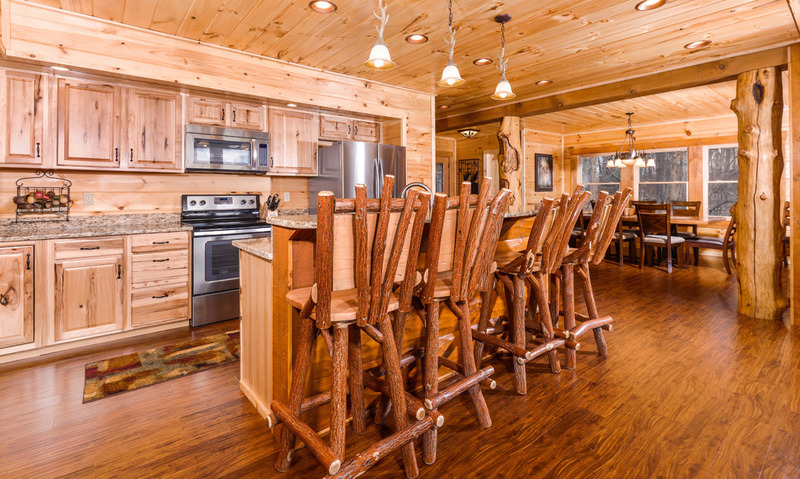 Other seating options for dinnertime at Sierra Springs include a 4-person breakfast bar attached to the cabin and an outdoor dining table with room for 6. 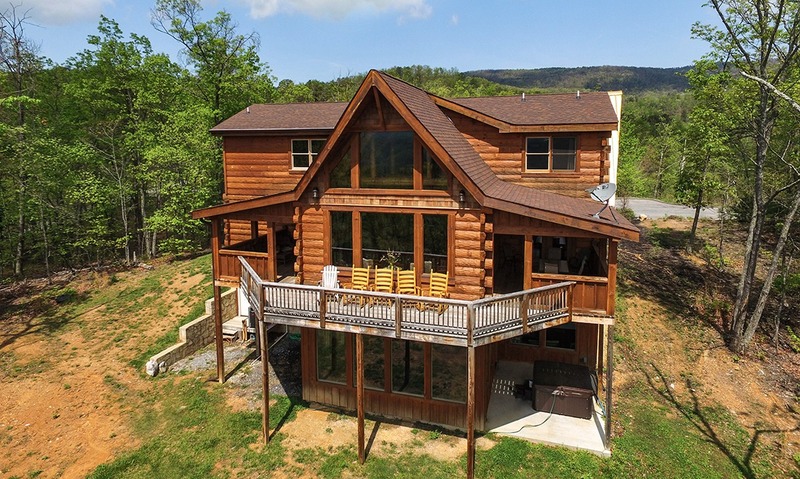 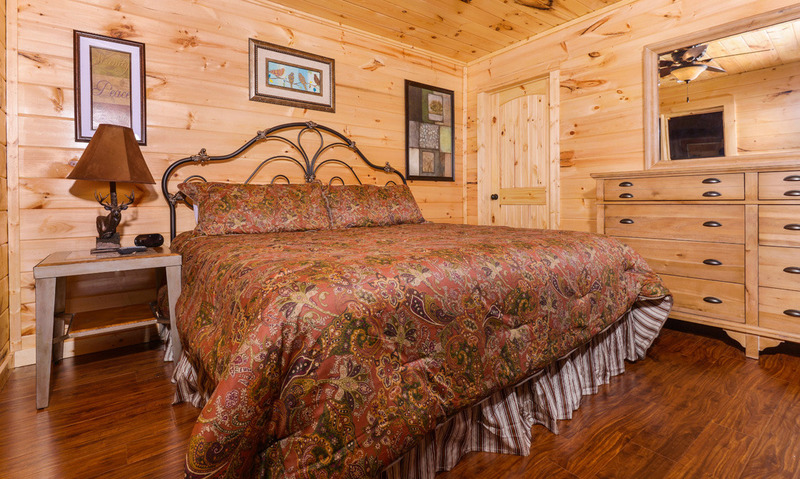 Although Sierra Springs is conveniently located within minutes of popular Pigeon Forge attractions like Smoky Mountain Ziplines, you don’t have to leave the driveway to have a great time with this cabin’s spacious rec room! 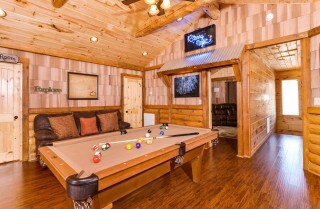 Plan a family pool tournament using the full-size pool table or play a game of poker at the 4-person card table. 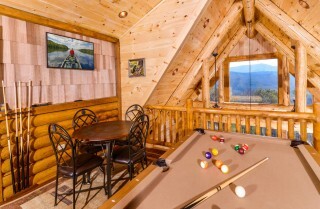 The rec room also offers a big screen TV mounted to the wall and clear views of the Smoky Mountains through the large windows filling out the A-frame roof. 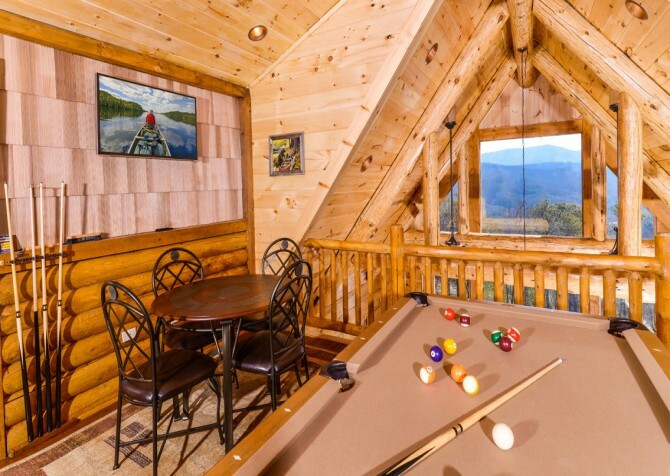 If it’s a rainy day in Pigeon Forge and your group is looking for something fun to do, look no further than the Sierra Springs rec room! 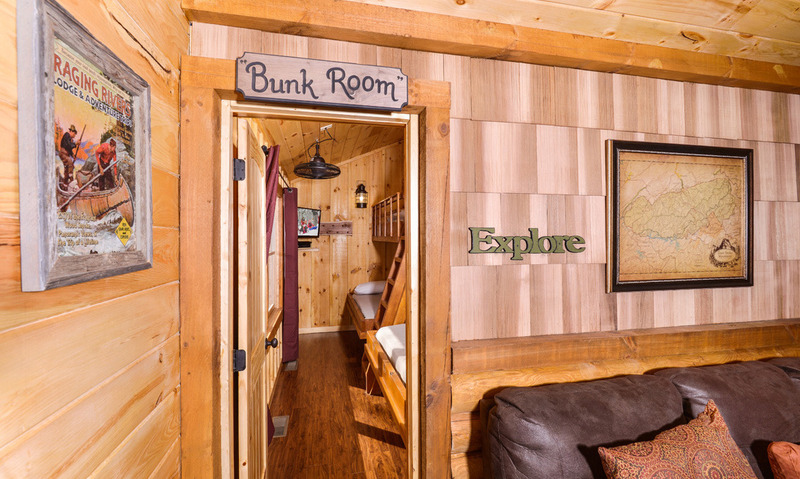 The entertaining options provided by Sierra Springs don’t end in the rec room. You’ll also find a private home theater inside this group cabin that will turn family movie night into a true cinema experience! 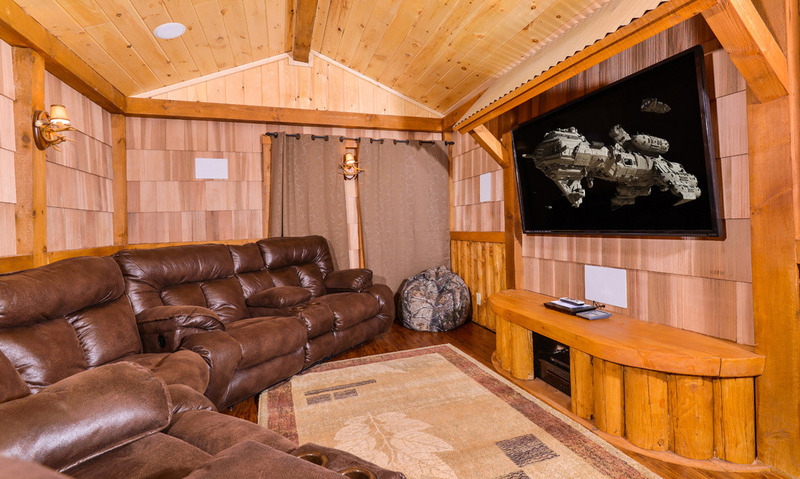 With a 70-inch screen, you’ll have your very own big screen inside Sierra Springs, and with several comfy couches furnished with cup holders, you won’t miss standard, theater-style seating. 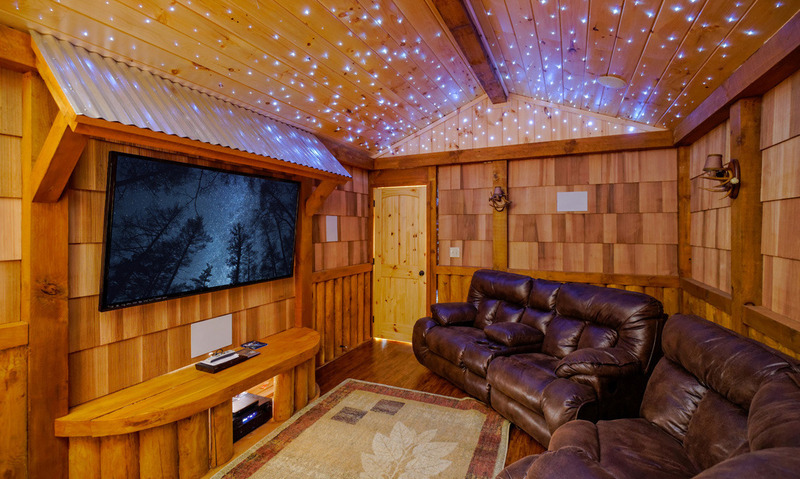 This cabin’s private home theater even offers twinkling, star-like lighting to really set the mood. So kick back with a bowl of popcorn to watch a new release or play a game on the Xbox 360 that comes with Sierra Springs (games are also provided). 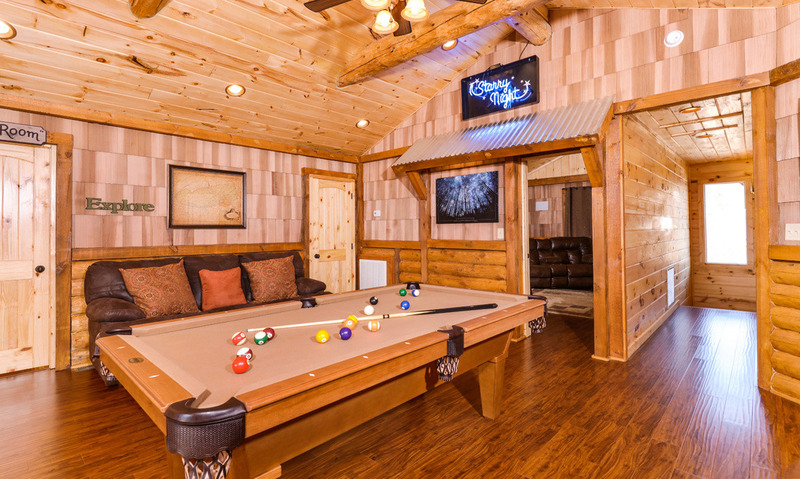 If the rec room and home theater weren’t enough, Sierra Springs also offers a show-stopping pool room that’s sure to impress your guests. Large windows offer mountain views, and poolside seating, including padded chairs and a patio table, provides a comfy place to relax while you watch the big screen TV on the wall or monitor your kids in the heated, saltwater pool. 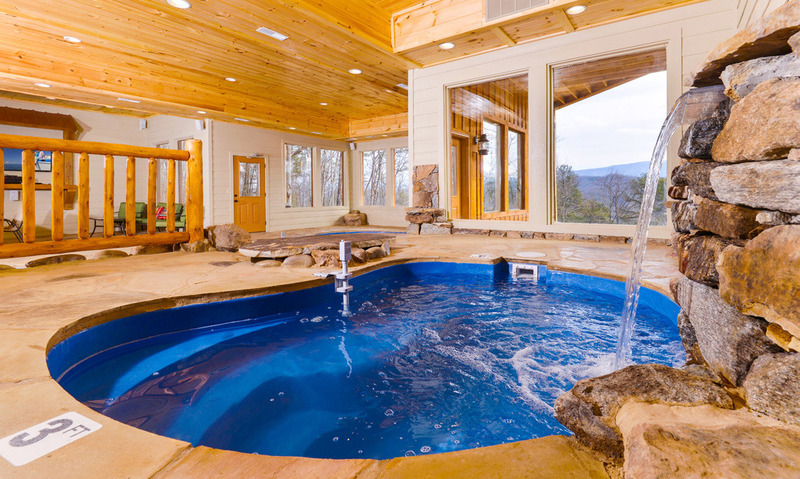 This large indoor pool with an impressive waterfall feature, of course, is the highlight of this space. 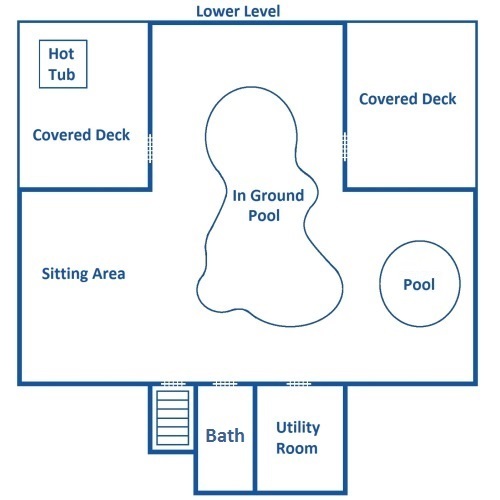 Use this amenity as a place to play in any season or as a convenient way to stay on top of your exercise routine while you’re away from home. 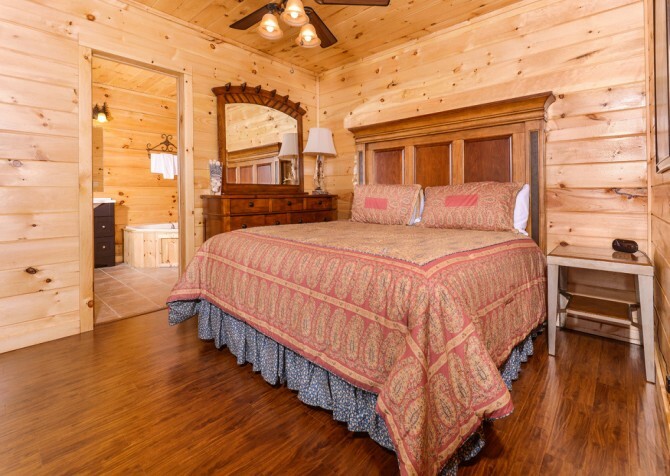 For 16 guests, you’ll need plenty of sleeping options, and Sierra Springs offers just that with its 5 bedrooms and 6 ½ bathrooms. Two of the bedrooms—each of which features a king-size bed, individual TV, and bathroom—are located on the main floor. 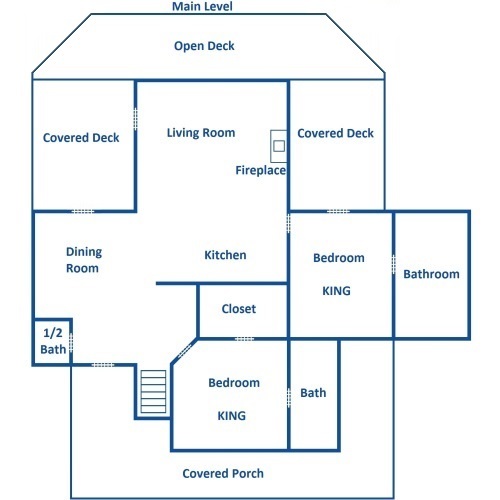 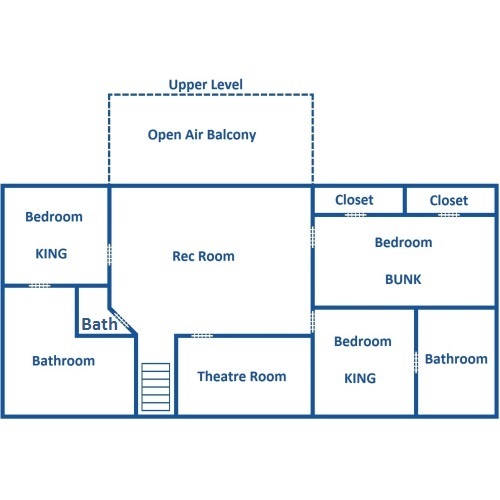 The other two bedrooms, with matching features, can be found upstairs. The final bedroom offers 2 built-in twin-over-full bunks and is a perfect choice for kids traveling with your group to the Smokies. 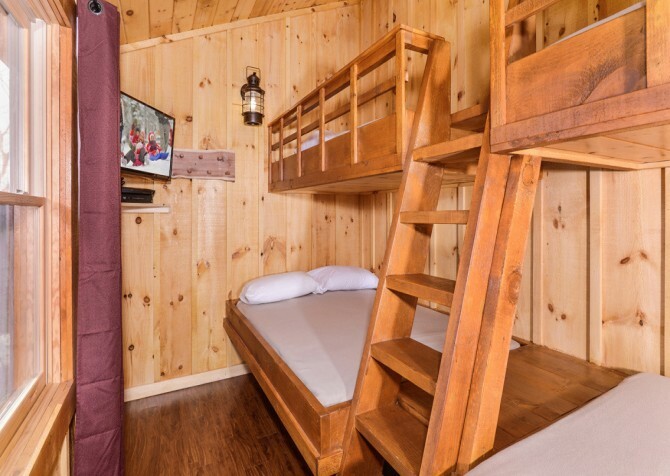 For your convenience, each bedroom has its own private bath, making your group’s morning routine a breeze, and should you need it, you can find an additional queen-size sleeper in the loft. 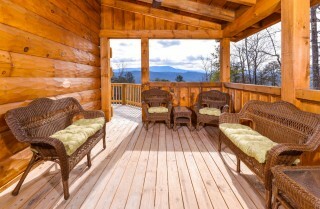 So many special features make Sierra Springs a memorable cabin, and its Smoky Mountain view is certainly one of them! 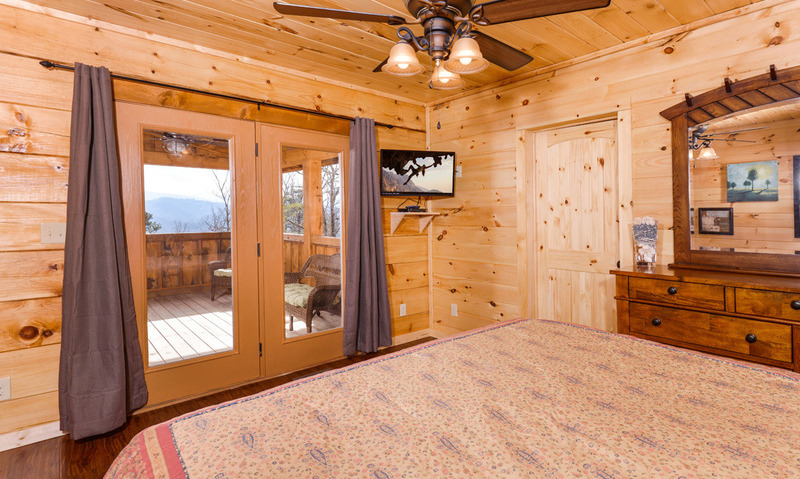 Thanks to this cabin’s semi-private location, you’ll enjoy private views from nearly every angle, but especially from Sierra Springs’ covered back deck. Sit back on a padded bench or matching chair with a glass of sweet iced tea. 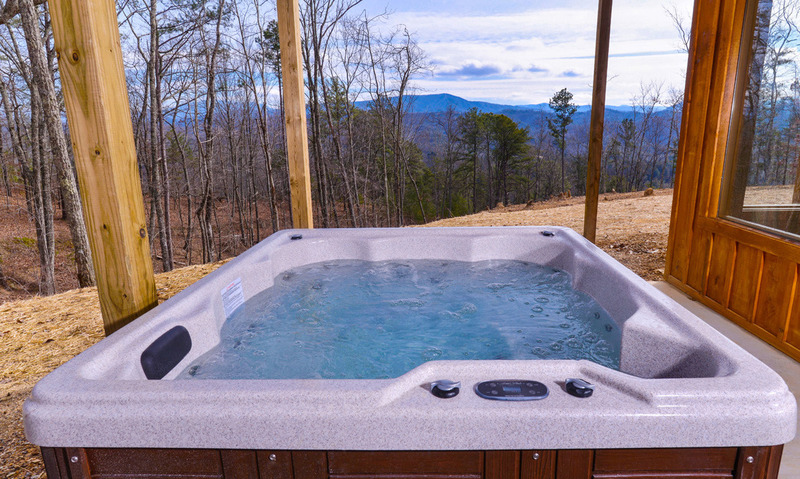 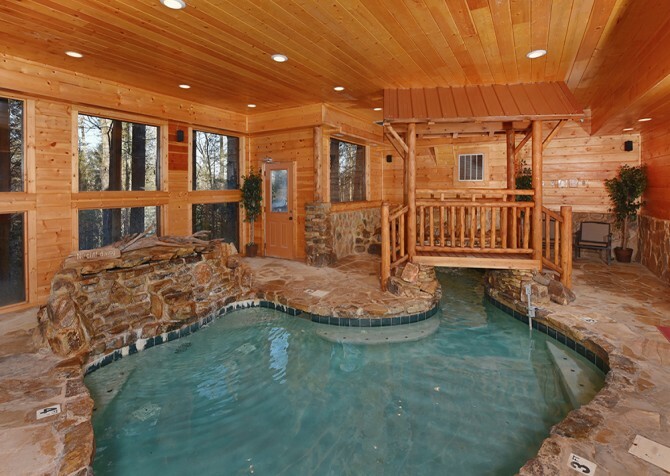 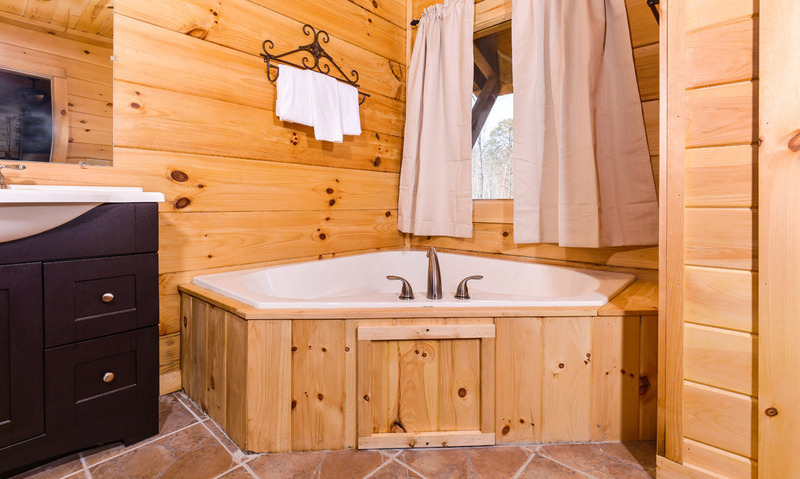 Or change into your bathing suit and take a relaxing dip in this cabin’s outdoor hot tub. Either way, you’ll enjoy soaking up the quiet atmosphere of the Smokies during your stay at Sierra Springs. 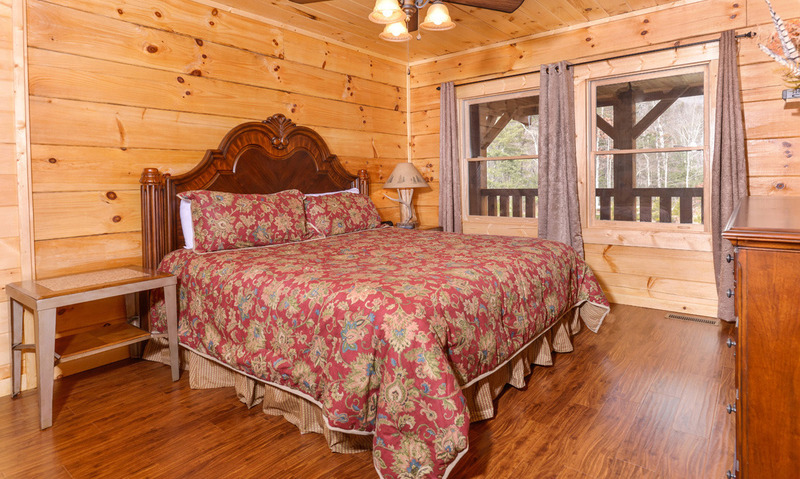 It’s really the little things like high speed wireless and a new Xbox One (specific games not guaranteed) that make your stay in a Pigeon Forge cabin like Sierra Springs worthwhile. 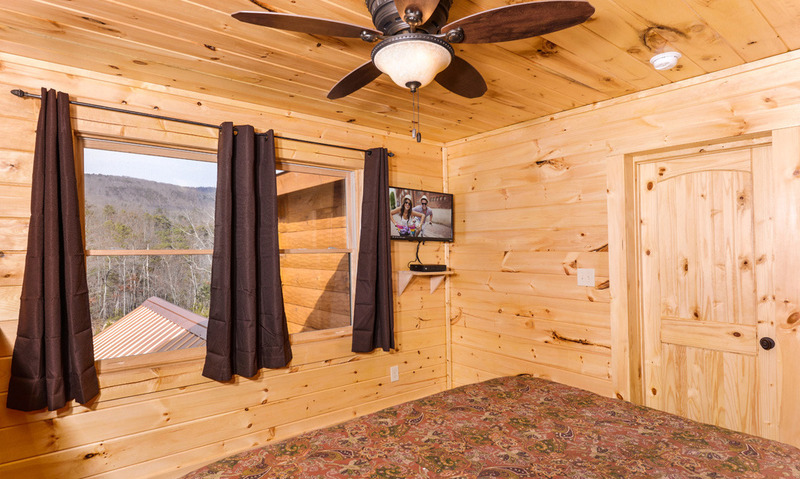 This cabin also offers access to a washer and dryer, indoor jetted tubs, and a flat, paved driveway with room for buses, making group travel to and from Pigeon Forge easy for you and your crew. 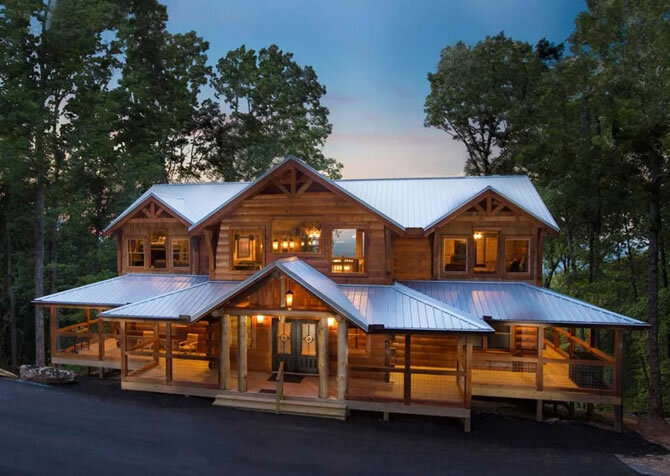 Impress your guests with a visit to this Pigeon Forge attraction, the only wax museum in the country dedicated entirely to celebrity figures! 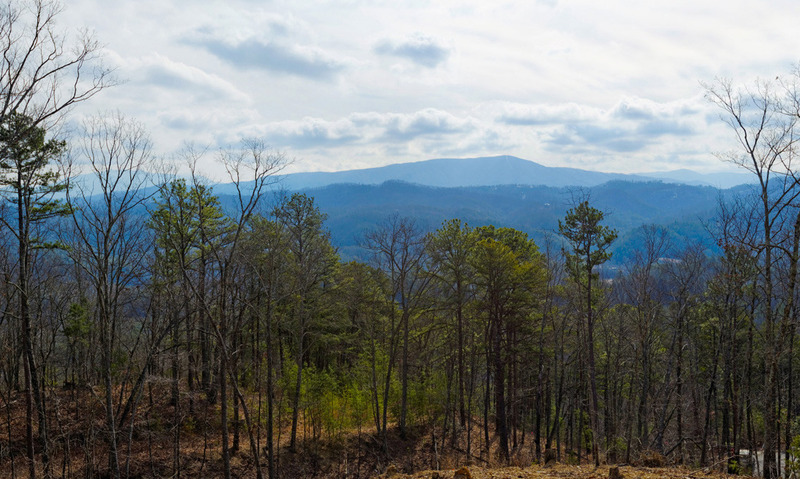 For quality entertainment, family-friendly fun, and a feast of biblical proportions, plan a group outing to this dinner theater on the Parkway. This attraction truly has something to please everyone, including live shows, delicious food, and world-class roller coasters! 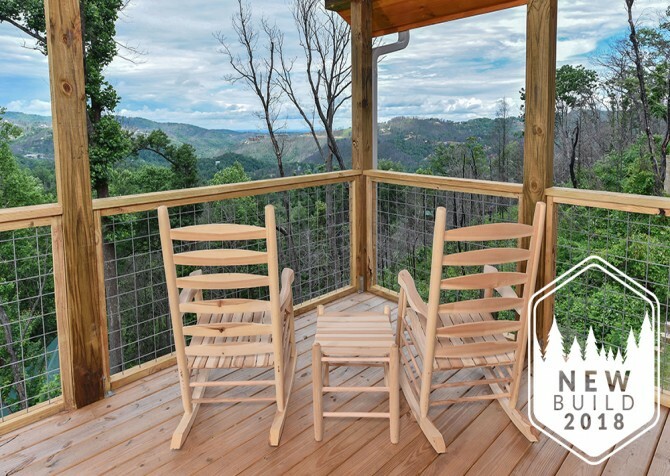 "We recently celebrated our 40th wedding anniversary in Sierra Springs, with our children and grandchildren, and loved every minute. 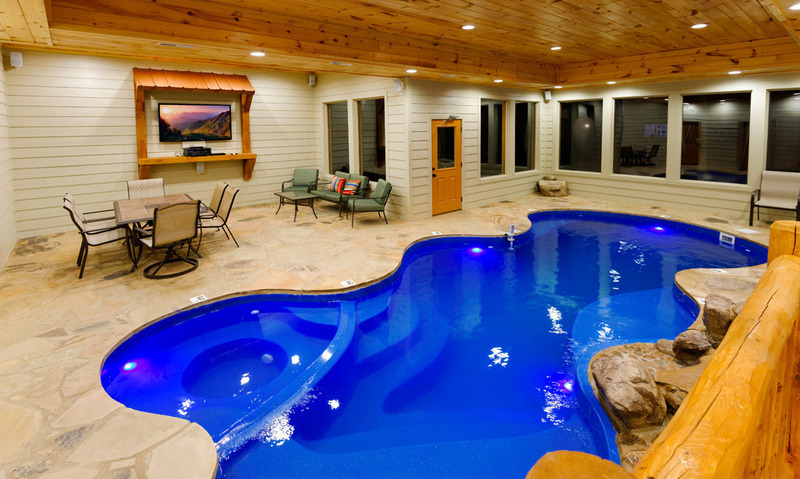 The pool was wonderful, absolutely beautiful, everyone enjoyed it, as well, the space was perfect for a large group. 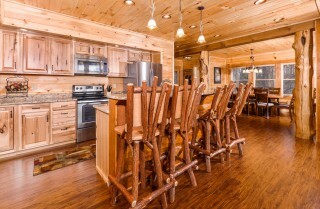 Thank you for making our celebration perfect!!!"